John Mazur was a star player at Plymouth High School and Notre Dame, where he was a mem-ber of the 1949 national-championship team. He quarterbacked the Irish from 1948 through 1951. 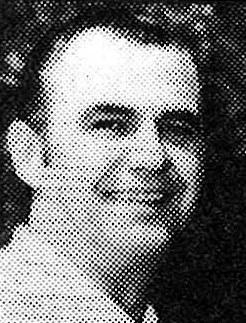 Mazur served as assistant coach at Tulane from 1955 to 1959, and he also coached at Mar-quette and Boston University. In 1962, Lou Saban hired him as assistant coach of the Buffalo Bills. Mazur became the offensive coordinator of the Bills and helped Buffalo to three division titles and two AFL championships. In 1969, he became offensive coordinator of the Boston Patriots, and he was named head coach in 1970, succeeding Clive Rush. Mazur also coached for the Philadelphia Eagles and New YOrk Jets.